Track homework, reports & school projects. Is there a better alternative to Schoolhouse? Is Schoolhouse really the best app in Miscellaneous category? Will Schoolhouse work good on macOS 10.13.4? Schoohouse is designed for students who need an easy, quick and powerful way to manage what they need to work on. 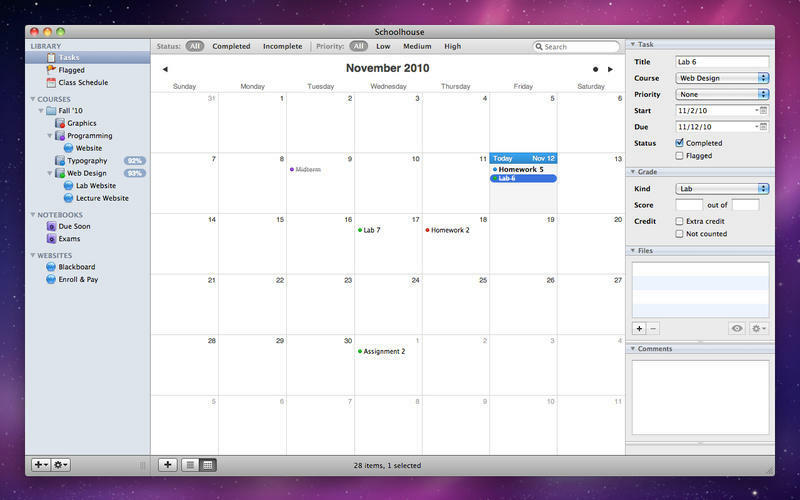 Great features like automatic grade calculation, smart criteria and file attachments make organizing your tasks simple. 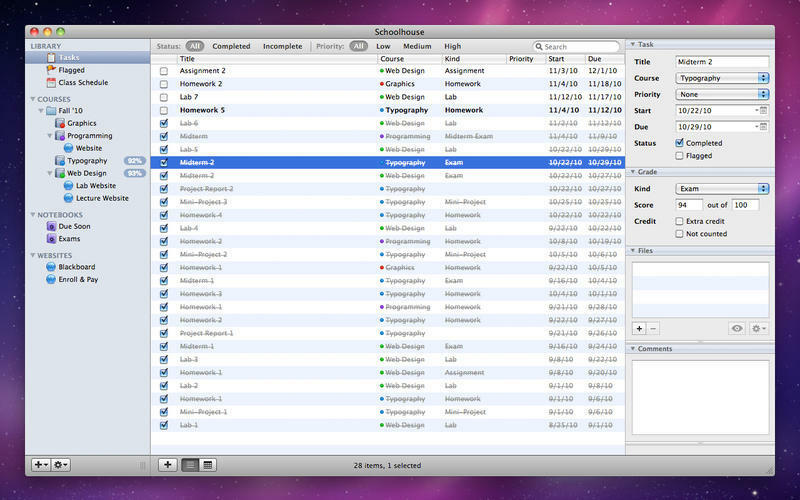 Schoolhouse 3 builds on this by adding better customization, support for in-app websites, MobileMe syncing and more. 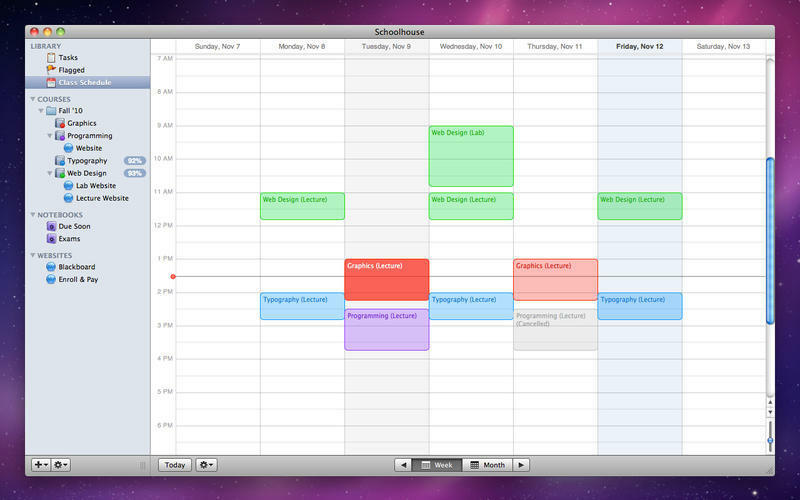 Multiple Macs can now by synced via iCloud. iCloud account required for syncing.